These two are the newest of a series that's been incubating in my studio for sometime now. 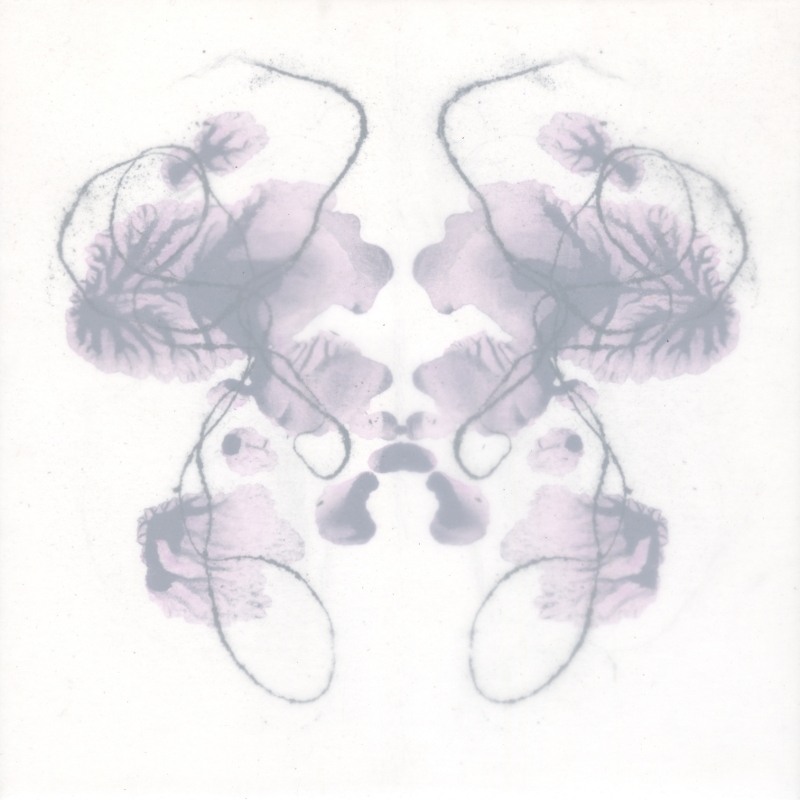 They explore symmetry, the impulse to find closure in the abstract and the push/pull of an image not quite on the surface. 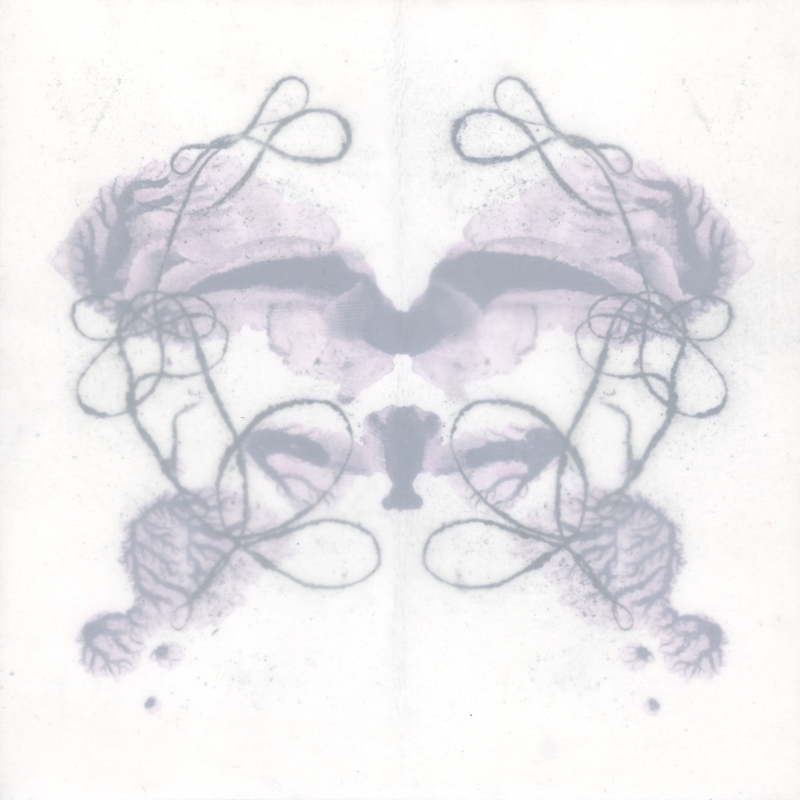 Constructed in layers, it begins as an inkblot overlaid with a tangleprint made with graphite and handspun cotton thread and mounted on wood and finally wrapped in mylar. The mylar softens the whole image particularly because it doesn't quite lay flat on the surface. Looking at the work feels a little like looking through a fog at a strange reflection. These left the studio as gifts for twin girls yet to be born. It felt appropriate that a developing idea might be given to new life and echoed the little warm knot memory of my own mother who was a twin. She and her twin developed a little mythos between them that always held an element of the sacred to me. A dozen more are in the works as I experiment with altering colors and the mark the ink and graphite leave. They feel visceral, alien and insect-like by turns. The word "Oracular" rolls around and around in my mind as I make these. A circuitous route of associations and desires left whirling in their wake. These pieces seem connected to reading tea leaves and taking Rorschach tests. Though many see inkblots and immediately think "Rorschach test," that test is actually not just any inkblot, but a set of ten specific images used again and again to analyze a psychological state. I'm most interested in our general compulsion to find the recognisable in the abstract rather than the specific analysis of a person, though they seem interconnected. Meanwhile my silklings are nearly-almost-maybe ready to cocoon. These are awesome gifts for twin sisters!!! At the first sight, I feel like looking at a traditional Chinese painting on the rice paper. The rendering effect creates some kind of mystery. "Same but different" is a self-explainatory title.Great pieces! Your tangleblots are beautiful. Because of the muted tones due to the mylar they look as if they were swimming into view, or are they fading? Wonderful presents for two twin girls. I thought of women’s hips and birth-giving even before I knew (esp. from the upper image), and on the whole there’s an impression of growth, something in process/progress/unfolding. Oh, and what's that about breeding silkworms? As always your feedback is so insightful. What you say about them swimming out of view is beautiful, another friend said something similar, that they don't seem to be obscuring clarity so much as our eyes seem to be attempting to focus and failing. I love that you see the body in them too. Time and again they seem to reference the visceral, like MRIs or brain scans. I like that they are that way, a little familiar and yet still alien. Ah the silkworms are long done, but I still haven't updated them here. Soon I hope . . . Thank you for your comment I hadn't thought of a connection to the surface of chinese paper, but it makes sense that it would relay that same diffuse quality. I enjoyed our coffee together, I hope we can repeat soon. My studio awaits. Susan, It's good to see you are still popping in, thank you. Finally I’m answering your comment on my blog! And here. I was so touched by what you said about my work and my writing. Actually I can reciprocate – your thoughtful, multi-layered posts, your art, and our exchanges have sustained me too. There aren’t many who take time to really consider what they’ve seen or read and formulate meaningful feedback. So thank you, Erin. And thanks for drawing my attention to Ernesto Neto’s fabulous work. I’d love to learn to sew one day, make larger work. Of course you can leave your comments on My art grows around me, wherever it’s easier for you, as long as we stay in touch.